Rodents have plagued mankind for centuries. Responsible for one of the worst pandemics in human history, the Black Plague, rats and rat elimination can have a big impact on public health. While the Black Plague is a thing of the past, other diseases and parasites from rodents still cause considerable health risks and property damage. 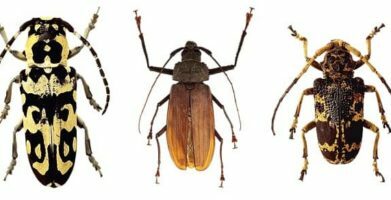 Advances in pest control techniques have made the fear of damage and diseases easily manageable. Rat elimination techniques have been so well developed in recent years that anyone can use them effectively. Humane pest control methods have also been advancing to meet consumer demand. People who don’t want to bring potentially harmful products into their homes have alternatives that are safer and more effective. While rodents are not considered to be major threats to our everyday health, the need for rat elimination is perfectly justified. Rodents are adapted to living in close proximity with other human beings. The potential threat of disease and parasite transmission remains. Rodents have always been a vector for diseases. Rodents who sailed with traders and other people in boats were known as the cause of the Black Death in the Dark Ages. In this day and age, rodents are still able to hitch a ride in cars, buses, airplanes, and any other vehicle humans use every day. A rodent’s deadly parasites and pathogens are also brought along for the ride. The variety of parasites carried by rodents, such as fleas, mites, and ticks, can carry potentially dangerous and fatal diseases. Rodents also spread germs and bacteria through their urine and feces. A rodent’s saliva and blood may also contain harmful pathogens. Parasites and deadly pathogens can be found in the hairs of rodents, which are shed very frequently, and can be harder to spot than feces or urine. Rodents will be able to breed wherever constant supplies of food and water are readily available. Rats can also end up breeding in large, uncontrollable amounts. This increases the potential for disease exponentially. These diseases can be spread to your children and pets. Even if you do think your house is rat free, preventive measures should still be taken so that they do not return. Clearing out a pest’s source of food by getting secure and durable canisters made of metal or plastic for the food your pets eat. Remove any uneaten food from your home, or even the fruits from your garden which have fallen off trees or plants. When you have determined that you have a rodent problem, it’s time to get rid of them. There are a wide variety of ways to go about hunting your disease laden prey. Some are more humane, while others are more brutal than you may think. A common rat elimination method is to set a trap for the rat. This is not a good choice if you have other pets or children sharing the same house, because they can get into the trap but you also have sanitary concerns about disposing of dead animals. A mouse trap also rates relatively low on the scale of “humane treatment”. Traps can come in the form of glue mats or boards which utilize strong adhesives. A rat can get caught in one of these when scurrying across the floor. The rodent will be stuck, depriving it of food and water, effectively killing it.. Some of these mats are large enough to catch more than one rodent at a time. If you do utilize traps, be sure they are anchored to the ground so that any surviving rats do not have the chance to escape. It is important that everyone who shares your living space knows where the traps are placed. When a rat is trapped, the trap setter may set it free far from the house. Before letting the rat go, wear some rubber or latex gloves. Keep as much distance between you and the rat as you possibly can. After handling either a live or dead rat, wash your hands properly — even if you used gloves to take the rat out. Another hazardous option which is still recommended frequently by “experts” is utilizing rat poison. 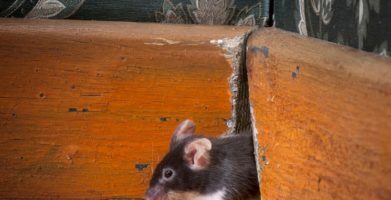 The most obvious problem with rat poison as a form of rodent elimination is it may harm others who share your living space. The other problem is a rodent doesn’t die immediately from the poison. They crawl back into your wall to die. Then you are left with either suffering through the smell of a rotting carcass in your wall, or you now have to drill through the drywall and hope you find it before making too much damage. Fresh Cab Rodent Repellent is a natural solution to eliminate rodents wherever you have them in your house, garage, vehicle or more. Just drop a pouch wherever you have mice or rats and watch them clear out. It’s Safe: When used as directed, Fresh Cab will keep your kids and pets safe. We use 98% bio-based ingredients like essential oils, lavender, fir, cedar, lemon and clary sage. 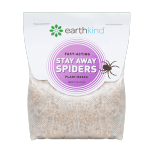 It is the only EPA registered botanical rodent repellent for indoor use. It Smells Great: It adds a very pleasant fresh, woodsy scent to your home or business. It’s Easy to Use: All you need to do to clear an area of rodents is carefully place your pouch. It’s 100% Guaranteed: We offer you an ironclad 100% money back guarantee! Rodents have plagued mankind for centuries. Responsible for one of the worst pandemics in human history, the Black Plague, rats and rat elimination can have a big impact on public health. While the Black Plague is a thing of the past, other diseases and parasites from rodents still cause considerable health risks and property damage. 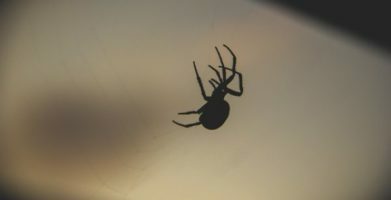 Advances in pest control techniques have made the fear of damage and diseases easily manageable. Rat elimination techniques have been so well developed in recent years that anyone can use them effectively. Humane pest control methods have also been advancing to meet consumer demand. 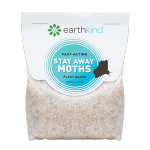 People who don't want to bring potentially harmful products into their homes have alternatives that are safer and more effective. While rodents are not considered to be major threats to our everyday health, the need for rat elimination is perfectly justified. Rodents are adapted to living in close proximity with other human beings. The potential threat of disease and parasite transmission remains. Rodents have always been a vector for diseases. Rodents who sailed with traders and other people in boats were known as the cause of the Black Death in the Dark Ages. In this day and age, rodents are still able to hitch a ride in cars, buses, airplanes, and any other vehicle humans use every day. A rodent’s deadly parasites and pathogens are also brought along for the ride. The variety of parasites carried by rodents, such as fleas, mites, and ticks, can carry potentially dangerous and fatal diseases. Rodents also spread germs and bacteria through their urine and feces. A rodent’s saliva and blood may also contain harmful pathogens. Parasites and deadly pathogens can be found in the hairs of rodents, which are shed very frequently, and can be harder to spot than feces or urine. Rodents will be able to breed wherever constant supplies of food and water are readily available. Rats can also end up breeding in large, uncontrollable amounts. This increases the potential for disease exponentially. These diseases can be spread to your children and pets. When you have determined that you have a rodent problem, it’s time to get rid of them. There are a wide variety of ways to go about hunting your disease laden prey. Some are more humane, while others are more brutal than you may think. If you do utilize traps, be sure they are anchored to the ground so that any surviving rats do not have the chance to escape. It is important that everyone who shares your living space knows where the traps are placed. When a rat is trapped, the trap setter may set it free far from the house. Before letting the rat go, wear some rubber or latex gloves. Keep as much distance between you and the rat as you possibly can. After handling either a live or dead rat, wash your hands properly -- even if you used gloves to take the rat out. It’s Safe:  When used as directed, Fresh Cab will keep your kids and pets safe. We use 98% bio-based ingredients like essential oils, lavender, fir, cedar, lemon and clary sage. 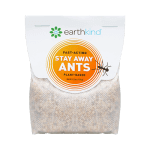 It is the only EPA registered botanical rodent repellent for indoor use. It Smells Great:  It adds a very pleasant fresh, woodsy scent to your home or business. It’s Easy to Use:  All you need to do to clear an area of rodents is carefully place your pouch. It’s 100% Guaranteed:  We offer you an ironclad 100% money back guarantee!